Mentioning this quote to a thru-hiker is likely to elicit a laugh. Fellowship with fellow hikers? Absolutely. Fellowship with chipmunks and squirrels? If you don’t kill them first. But, fellowship with the wilderness can be hard to come by on the most populated of the country’s long-distance trails. 1) Don’t sleep at shelters. In my mind, there are so many reasons not to sleep at shelters on the trail. First, as I’ve mentioned before, they can be sketchy. Second, staying at a shelter makes you 100x (according to the Institute for Reliable Statistics) more likely to have your gear moused or chipmunked. Shelters are rarely situated by the best views or in the prettiest woods. And, shelter sleeping makes sleeping more difficult; not only do shelters attract people, but they attract lots of bugs (many of which bite) as well. Avoiding shelters is probably the easiest way to cultivate some sense of solitude on the Appalachian Trail. Even when I spent the day leap-frogging other hikers, being alone at night, with my tent tucked unobtrusively some 200 feet off the trail, left me with a feeling of peace and solitude. Trail towns act like mega-shelters in that they often congregate several days’ worth of hikers at hostels and restaurants. Quick afternoon resupply trips allow hikers to get back to the woods faster and without the crowd that often leaves towns in the mornings. For several reasons (often involving outside pressures or hiking companions), my daily mileage varied considerably over the course of the trail, even when taking elevation gain and difficulty of the treadway into account. As a result, I got to experience being in both the center of the the main pack of hikers marching toward Maine and on either end of it. Walking near the group that begins in early April and will summit Katahdin in early September can make for quite a social Appalachian Trail experience; hiking in front of or behind that group can make solitude easier to come by. 4) Enjoy the blue blazes. As I’ve written before, most Appalachian Trail thru-hikers walk right past even short blue-blazed trails. Exploring some of these side trails is a great way to see more of the eastern woods, get off the beaten path, and enjoy some time alone. 5) Take short breaks randomly. This is a quirky tip, and it’s one that I’ve intentionally not followed on many occasions, either because I’ve decided to enjoy a beautiful place or because I’ve sought companionship. 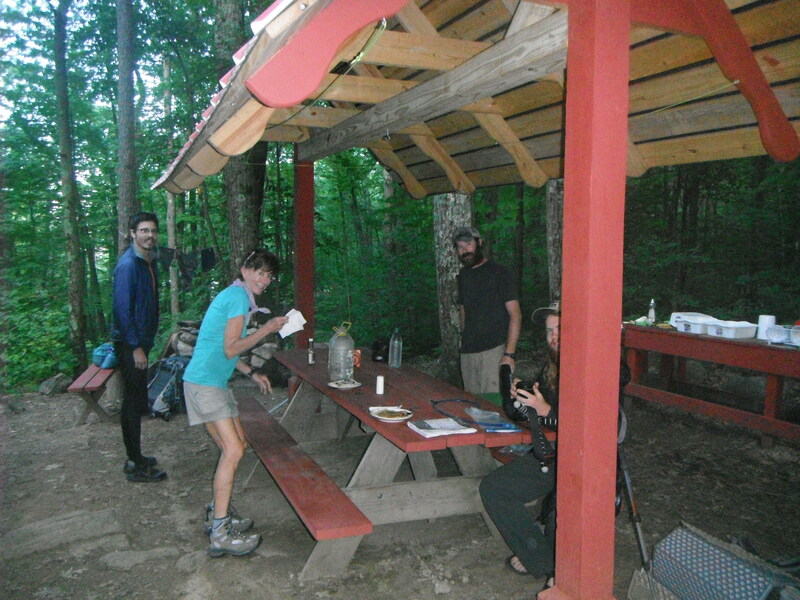 Most hikers take second breakfast/snack/lunch breaks at shelters and at scenic locations. Conversely, I have a tendency to simply pause briefly at these places and then keep walking until I’m tired or two hours have passed, whichever comes first. Then, I’ll just sit down on the trail, take a five-minute break, get up, and keep walking. This habit of mine makes other hikers unlikely to catch me in the time I’m taking a break. 6) Hike long days steadily. As with the other tips, this was something I’d been doing for a fair bit of time before I realized that it was contributing to my unusual Appalachian Trail experience. Many (but by no means all) hikers enjoy slow mornings in camp, hike quickly, take long breaks, and make camp well before dusk. When left to my own devices, I put in very long days on the trail, hiking from not long after dawn until not long before dusk. I would often pass other hikers while they were taking breaks and, as they’ve teased me about on Facebook afterward, never see them again. It’s easier to be alone on the Appalachian Trail than it might seem, and someone seeking solitude should not feel as though hiking northbound would make for a prohibitively social experience. 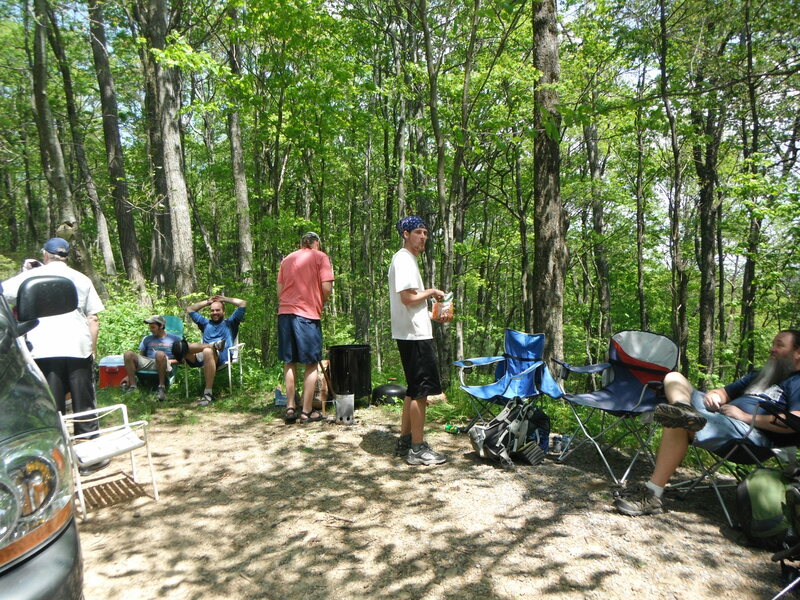 That said, I would encourage thru-hikers to embrace both time in the wilderness and time in the company of others. One of the most fascinating parts of the Appalachian Trail is the community found on and along it, and I’ve appreciated changing my usual habits to enjoy that community. 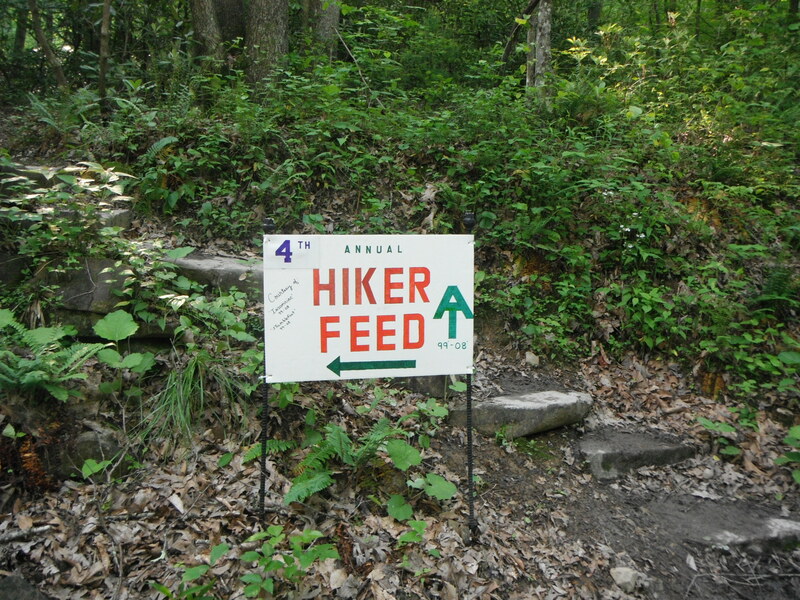 Most of the time, the Appalachian Trail doesn’t feel clique-ish. Most of the time. Unfortunately, thru-hikers and section-hikers tend to walk with “their own kind,” in the words of Cera from The Land Before Time, and NOBOs (northbounders) and SOBOs (southbounders) tend not to think highly of each other. “Who’s in whose way?” snapped the South-Going Zax. “I always go south, making south-going tracks. All too often, we NOBOs and SOBOs are much like the Zax, thinking our own directions and experiences to be superior. I think this has much to do with the attitudes of the first SOBOs and the first NOBOs, who, as fast-hiking leaders of their respective packs, might not spend time making friends with the hikers going in the opposite direction. In my mind, this is a travesty: When a NOBO and a SOBO meet, between them, they’ve seen the entire length of the AT, and there’s so much information to be gained from those hiking the opposite direction on the trail. As a caveat, I must say that two of my top-ten favorite hikers were SOBOs, including someone I’m hoping to hike the PCT with next year. Anyway, one place where NOBOs and SOBOs come together in peace and harmony, holding hands and singing Kumbaya, is at Upper Goose Pond. 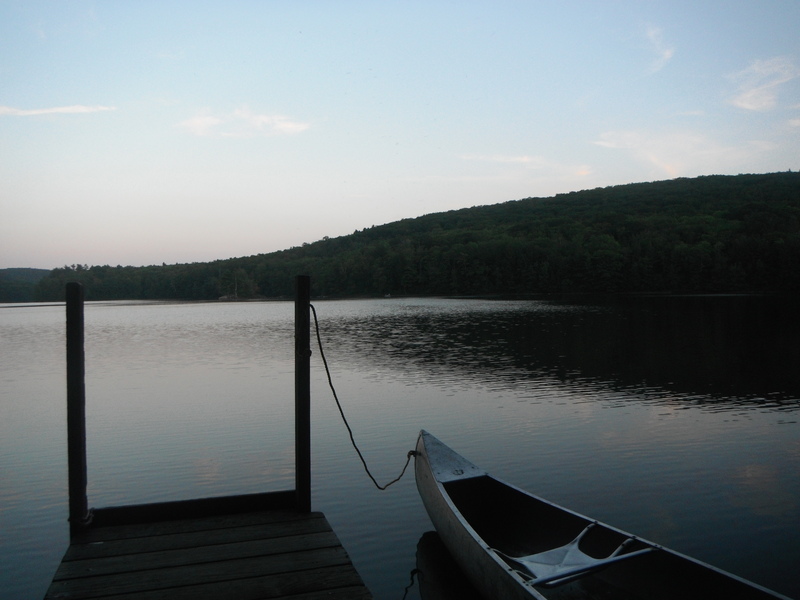 Located 0.5-miles off the trail in Massachusetts, Upper Goose Pond might be easily missed by those hikers focused on getting to Northern New England; however, the beautiful setting of the lodge there makes the side trip worth considering. The pancakes served by the caretaker in the morning make it a mandatory stop. You see, there is a pick-your-own blueberry stand not far north of Upper Goose Pond, and SOBOs often arrive at the lodge bearing gifts of juicy, field-grown blueberries. Because the trail is all about reciprocity and sharing, NOBOs arrive at the lodge bearing gifts of…hmmm…of our awesome and awesomely stinky selves? 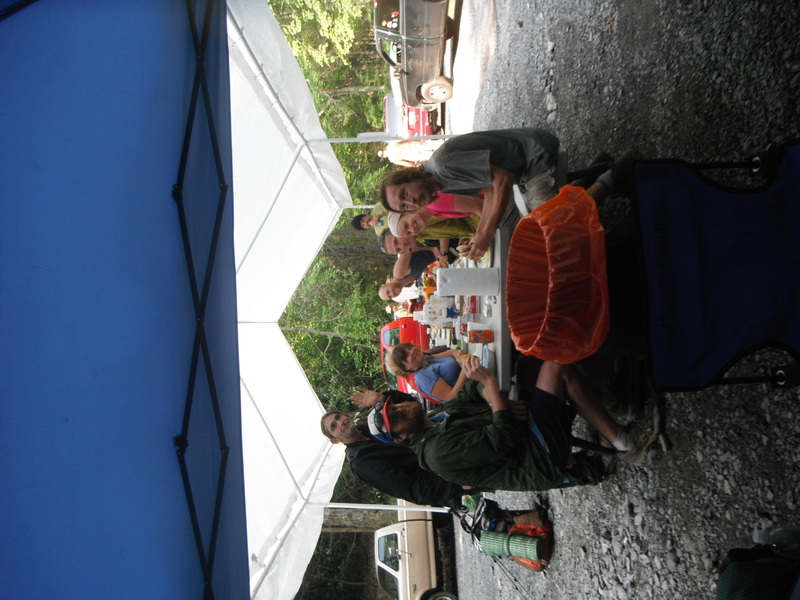 In the morning, the caretaker of the Upper Goose Pond takes the blueberries, adds them to the pancake batter, and produces a delicious breakfast for hungry hikers. 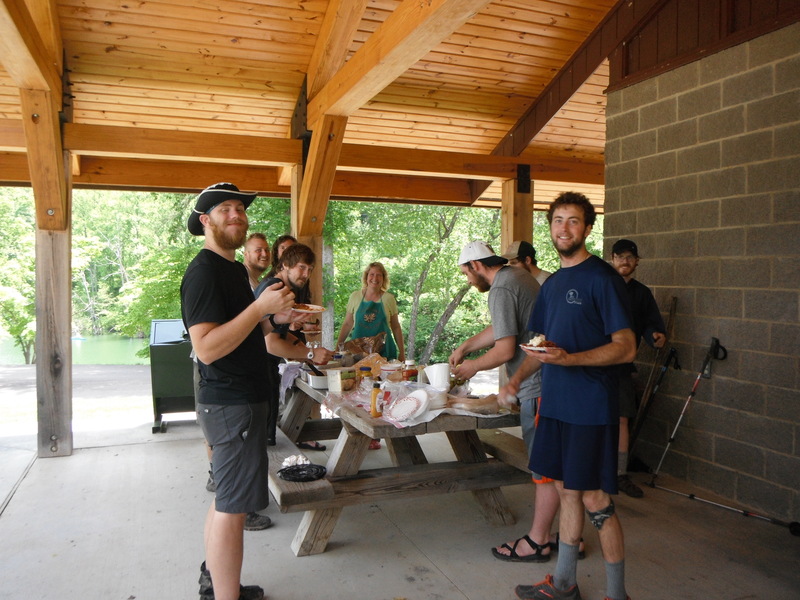 It’s a great time of camaraderie and community before we all go our separate ways on the narrow but very long trail. *The tale of the Zax is reprinted in its entirety inside a privy in Vermont, but you can also look it up online or at your local library. Last week, I explained how my friend and I embraced spontaneity and found ourselves in a car to an intentional community in eastern Massachusetts. After a 90-minute drive filled with storytelling, contemplation, and laughter, U pulled into the community’s driveway. As Quiver and I unloaded our packs, U’s mother rushed out to meet her daughter, informing her that a distant relative whom neither woman had met just died. Instantly, U started sobbing. As soon as I had a chance to reflect on the occasion, I was struck by the depth to which U grieved about someone she didn’t know among people she’d only just met; that sort of emotional response is certainly uncommon. After a half-hour beside the indoor altar, U gave Quiver and me incense and herbs and led us outside to a labyrinth. There, we walked and twirled and meditated until, in the warm sunlight and amid the blowing grasses, I began to relax and mentally join in the rite. We sat on the throne to Isis and Osiris and invoked gods and goddesses of numerous cultures and several millennia. Then, we gathered at the fire pit in the center of the labyrinth. We sat around the fire as U sang and prayed, and Quiver and I followed her instructions in adding the incense and herbs to the fire. As the smoke from the fire encircled us and U continued singing, I began to feel odd. U invited us to stand and look heavenward, and I did and promptly fainted. When I came to, Quiver was holding my hand and U was gently massaging my shoulders and singing. When she saw my eyes flutter open, U, who I usually describe as the most beautiful woman I’ve ever seen, explained that everything was all right and that she would now “massage [me] back to the world of the flesh.” Quiver caught my eye and smiled a bit, with a “this is the stuff dreams are made of” look. When I was strong enough to stand, U and Quiver supported me as we walked to the herb-infused hot tub, where, as instructed, we stripped and soaked in order to cleanse ourselves and complete the ritual. After that, our stay at U’s intentional community was less dramatic but no less interesting. Together, we traveled to Massachusetts’ North Shore, where we performed the Five Tibetan Rites on the sand and sang to “La Luna” as she rose over the sea. We stargazed in happy companionship before vortexing our way back to the community. There, Quiver and I slept in a brightly painted loft, not far from the “omniamorous” (because she is “in love with all Creation”) U and her partner. The next morning, we breakfasted on food from the community’s garden, sat outside and discussed religion, spread out maps and (drawing on our extensive collective hitchhiking experienced) planned out our trip a bit, and toured the community before packing up and hitting the road. The 26 hours that I’d spent in U’s community had been unlike any I’d experienced before, and I wanted to ensure that I didn’t forget anything about them. However, while the sun shines, a hitchhiker is in constant motion, so, even as I worked to process and memorize the details of the previous day, I stuck out my thumb and headed to New Hampshire. On December 31, 2013, my sister made a New Year’s Resolution. Because she appreciated where my embrace-the-unexpected attitude had led me, she resolved to be more spontaneous. I teased her that she didn’t quite seem to have fully grasped the concept when, on January 2, she spontaneously decided to have all four of her wisdom teeth pulled. Spontaneity has led to some experiences that I will forever treasure, but I have never really thought of it as “spontaneity” at the time. Except once. In any case, when Quiver arrived in Massachusetts, he called me up, and we decided that we should spend a few days together. A few days turned into a few weeks, and soon the question of what we should do with the time we had together was raised. In response, I started talking about all of the things I liked most about New England that I thought Quiver would also like to see and experience. Apart from his thru-hike, during which he’d not strayed far from the New England woods, Quiver hadn’t been to New England since he was in his early 20s and hadn’t formed a favorable opinion of it. I saw this as a problem, and we decided that the best way to rectify this problem was to tour the region. Being us, we didn’t want to just get in my station wagon and drive around. No, the best way to see the region would be to stand on the side of the road, wait for New Englanders to allow us to ride in their cars, and then travel with them wherever they were going. I mean, I knew that 1) we wanted to enjoy Franconia Ridge in New Hampshire again, 2) that I wanted to introduce him to Burlington, VT, and 3) that he had a ticket to a plane leaving from Portland. Other than that, we had lots of room to be spontaneous. So, we walked to the other side of the town I was living in, stuck out our thumbs, and began traveling. 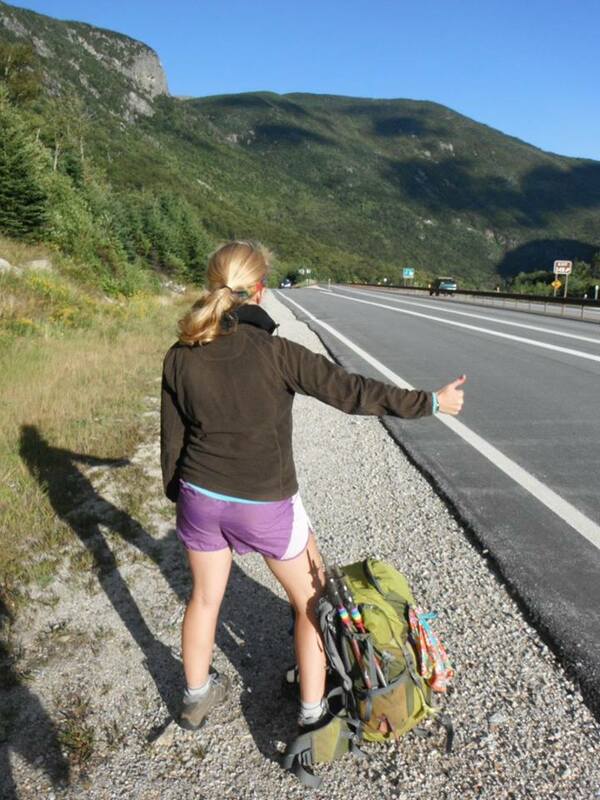 When we got to Route 2, we’d barely begun thumbing before an old car pulled over to the side of the road. As soon as the car had stopped, the driver got out, and Quiver and I knew this was going to be a fun ride. The driver was a willowy middle-aged woman wrapped in gauzy fabric, and she’d gotten out of the car in order to move her guitar to the trunk. We ran up to the car and jumped in, and the driver, whom I’ll identify as “U” for the first letter of her name, immediately offered us some wheatgrass to drink. U told us that she’d been “vortexing” (read: driving in circles) all day and that our energy had pulled her to us. While we’d only been looking for a short ride, in order to get to a road that headed north to New Hampshire, U soon began telling us about her intentional community in eastern Massachusetts. Hearing of Quiver and my passion for communal living, she offered to drive us to the community for a visit. Quiver and I exchanged a quick glance and, embracing spontaneity, enthusiastically agreed to head east.